A middle-income country, Morocco has increased access to contraceptives and reduced maternal and infant mortality, but disparities remain. In particular, women’s empowerment remains a challenge despite progressive legislation. 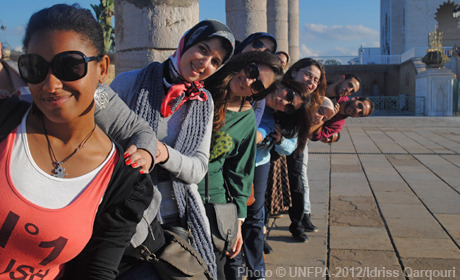 Active in Morocco since 1975, UNFPA supports the continued improvements in women’s reproductive health through better emergency obstetric care and screening services for cervical cancer, a leading cause of death. It also advocates for youth-specific policies, services and information, and helps to improve the availability and analysis of data on population dynamics, sexual and reproductive health, and gender equality.